729 Chestnut St. at noon on Tuesday, Feb. 26 and will feature speaker Barbara Marter. 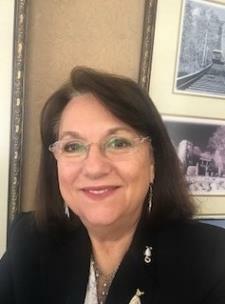 Ms. Marter is the executive director of The Weldon F. Osborne Foundation, Inc., a local foundation making grants to nonprofits in Hamilton County area. "Barbara gave her life to Christ at the age of 16 at a Church of Christ Revival in Dayton," organizers said. "As the only family member to believe in Christ and attend church, there were times when it was difficult to think, 'What would Jesus Do,' or even follow through on His instructions. However, perseverance did pay off as her mother, step-father and brother all came to know Christ and call him their personal Savior." Marter studied accounting at Chattanooga State, UTC and received her BS in management and leadership from Warren National University. She is a 1996 graduate of Campbell University Southeastern Trust School, 1998 graduate of Cannon Financial Institute School of Foundation Management, 2000 graduate of Leadership Chattanooga and 2008 graduate of Global Diversity Leadership. She has two married daughters, three grandchildren, two fur babies and two grand-fur babies. She is a member of Ooltewah United Methodist Church. She enjoys baking, gardening, traveling overseas and reading. "Join us for this very equipping and empowering message. Meet-up and network with like-minded business individuals and exchange your business cards during networking from 11:30 a.m.-noon. Lunch and program begin at noon," officials said. Cost is $20. RSVP online. For more information, call 423-698-6262 or email admin@scwn.org.